Love it or hate it, Disney knows how to sell a good old-fashioned franchise. That’s been the studio’s bread and butter for years, and they've got it down to a science. 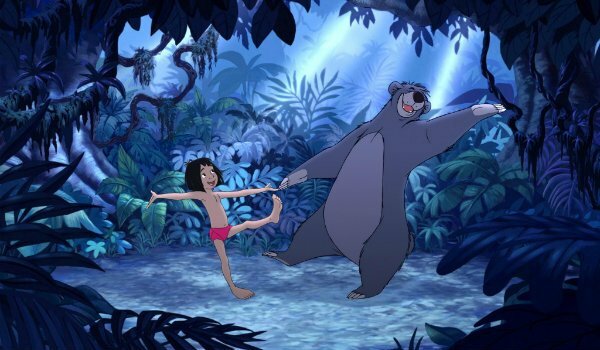 With that in mind, Jon Favreau’s upcoming reboot of the Disney classic, The Jungle Book, hasn’t even hit theaters yet, but it has already drummed up quite a bit of buzz. In fact, it’s garnered so much buzz that the studio has already begun thinking about a bright future for that franchise. Disney seems feel fairly confident in the upcoming adaptation of The Jungle Book, because The Wrap has just reported that the studio currently has a sequel in development. Although not many details have come forward in terms of the plot and overall direction of the potential sequel – which makes sense, considering the first film hasn’t even hit theaters yet – it seems that Disney has their eye on Jon Favreau to once again take Mowgli on a life changing adventure. So far The Jungle Book seems on track to become a major success. Between it’s all star cast – which includes Bill Murray, Idris Elba, Christopher Walken, and Scarlett Johansson – and its obvious mass appeal, the film has potential to absolutely dominate this year's early summer box office. Although we haven’t even seen the upcoming adaptation to The Jungle Book yet, we do know that there’s precedent for a sequel in the Disney universe. In 2003 the studio released a sequel to the original animated classic – aptly titled The Jungle Book 2. The project starred Haley Joel Osment, John Goodman, and Mae Whitman, and while it did not exactly perform well critically, it established that Mowgli’s story does not necessarily have to end after his first adventure. Considering the fact that The Jungle Book has not even hit theaters yet, it would seem that Disney has quite a bit of faith in the film’s ability to drawn an audience when it finally releases. If the film proves itself as a major commercial success, then we think it’s safe to classify Jon Favreau as the ace in the hole when it comes to starting a major franchise. First he helped Marvel Studios get the Marvel Cinematic Universe off the ground with the first two Iron Man films, and now he may have once again proven himself with this adaptation of a beloved Disney classic. We will keep you up to date with all of the latest and greatest news and rumor pertaining to The Jungle Book as they become available to us. Jon Favreau’s upcoming reboot of the classic Disney tale will hit theaters later this week on April 15. Stay tuned for more details!